Q. Do I need planning permission to have a conservatory built? A. It is important for us to carry out a full survey when we come to your property, we can let you know if we think you need to apply for planning permission or indeed party wall consent. No work will start on your project until we are 100% sure that any permissions / consent have been agreed. Please look here for additional information. Q. How long will it take to be completed? A. Work can be carried out relatively quickly once all approval has been passed; we aim to complete your project within 6 weeks. Q. How much will it cost? A. It really does depend on your budget, style and material, our conservatories can range from £3,000 upwards. Q. Do you provide a guarantee/warranty? A. 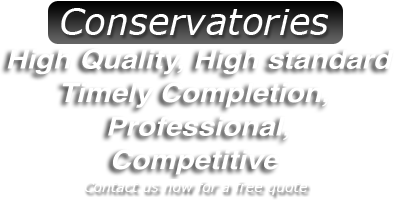 Yes we do, all of our conservatories come with a 25 year guarantee. Q. Will there be much mess involved? A. We always aim to keep mess to a minimum and will ensure the area is cleaned at the end of each working day. We pride ourselves on our work and treat your house as if it were our own. Q. How safe will my conservatory be? A. 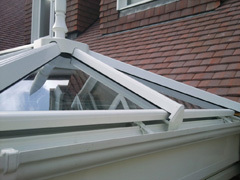 All of our conservatories are built to last, the glass is reinforced and the structure is weather resistant. Q. Can I use my conservatory all year round? A. Absolutely! Even more so if you have heating installed in your conservatory or have a portable heater in there during the colder months. Conservatories are surprisingly warm and can be sun traps if you have a south facing garden. Q. Do you offer a design service? A.	Essex Conservatories will plan and design your conservatory using the latest CAD technology programmes, this service is free of charge and you are under no obligation once completed.